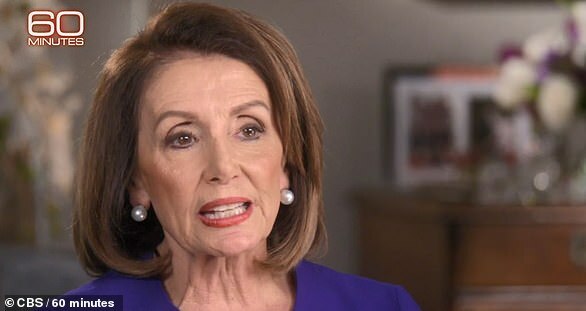 US House Speaker Nancy Pelosi appeared to take another thinly veiled shot at the success of rising Democrat Congresswoman Alexandria Ocasio-Cortez by claiming that a ‘glass of water with a D next to its name’ would have won her seat. 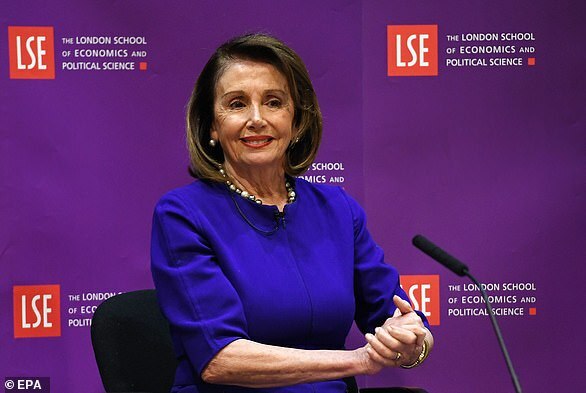 Pelosi, 79, was speaking at the London School of Economics on Monday where she said that the Democratic Party must avoid the ‘menace’ of liberal policies pushed by rising political stars if it wants to beat President Donald Trump in the 2020 election. She also used the appearance to set out a centrist vision she believes could help woo Republican voters frustrated with Trump’s approach. In reference to the November midterms, where the Democrats gained control of the House of Representatives, she picked up a glass and said: ‘When we won this election, it wasn’t in districts like mine or Alexandria’s. She said: ‘I can compare my liberal credentials across the board. I said to them: ”Anything you’re about, I got that sign in my basement 20 years ago”. ‘What we are saying is, to have a message that appeals to people in a way that does not menace them. 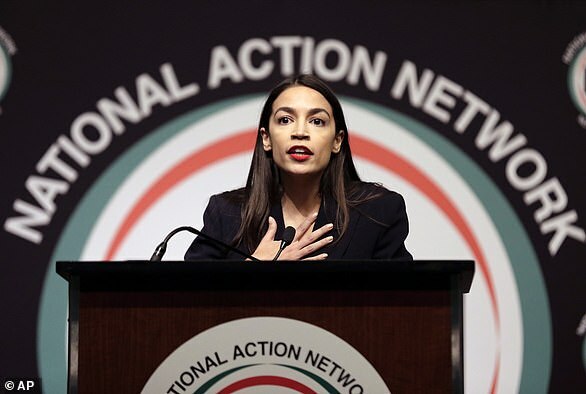 Her words come after she appeared to belittle Rep. Alexandria Ocasio-Cortez’s affiliation with a progressive group in Congress in a new interview. 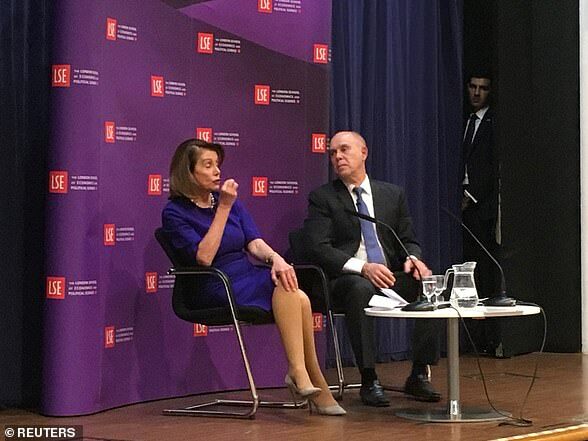 Officially, Pelosi is in London to discuss the progress of Britain’s efforts to withdraw from the European Union. Trump accused Omar – the first black Muslim woman elected to Congress – in a tweet Monday of making ‘anti-Semitic, anti-Israel and ungrateful US HATE statements’. She tweeted after the meeting that she and Corbyn discussed the importance of ‘protecting human rights, and the necessity of forcefully confronting anti-Semitism & Islamophobia’. 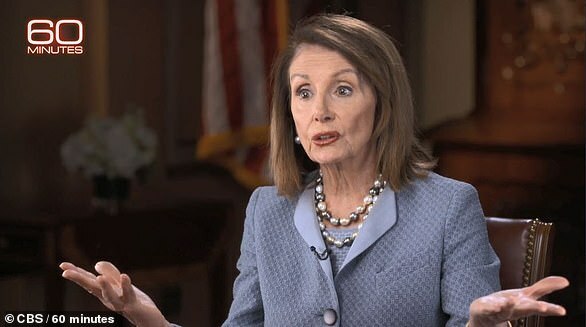 ‘I don’t think any president of the United States should use the tragedy of 9/11 as a political tool,’ Pelosi said.